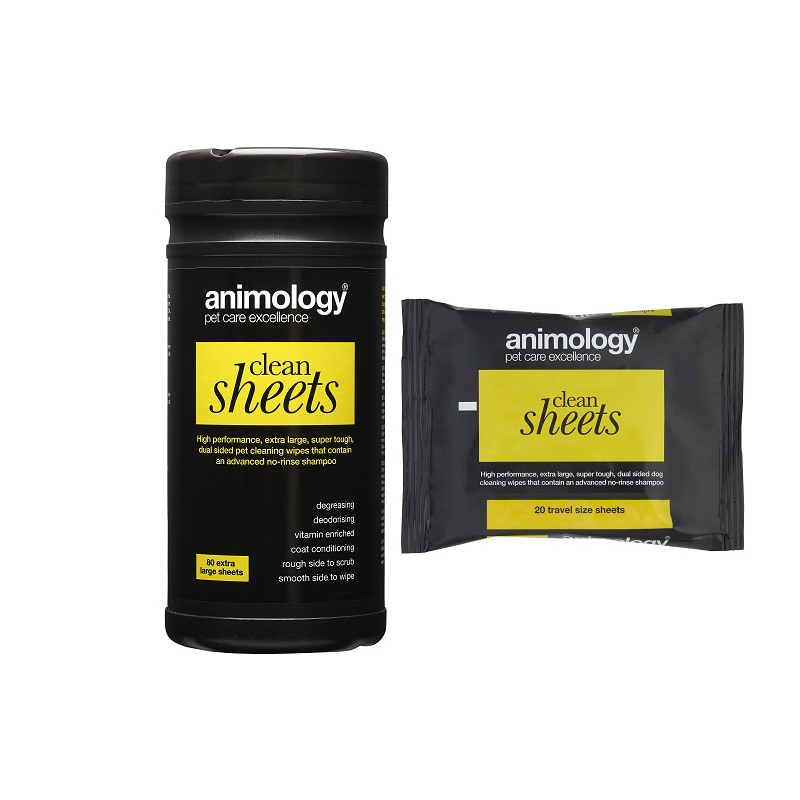 Animology Clean Sheets are large, high performance pet wipes which contain an advanced no-rinse shampoo to keep your pet cleaner and fresher for longer. Made from tough fabric, each wipe is enriched with vitamin E as an antioxidant to strengthen the hair and improve the overall condition of the coat. General dog odour will be kept to a minimum and even the most foul smells, like fox muck or dead fish, will be reduced when using Clean Sheets. Aqua, Alcohol Denat, Polysorbate-2-, DMDM Hydantoin, Disodium EDTA, Zinc Ricinoleate, Benzalkonium Chloride, Parfum, Sodium Lauroyl Sarcosinate, Tetrasodium EDTA, Tetrahydroxpropyl Ethylenediamine, Linalool, Hexyl Cinnamal, Butylphenyl Methylpropional, Limonene, Geraniol.